This is the fifth book in the Icons of Modern Culture series. Children and adults the world over know the lumbering, overlarge figure with the green face and bolts in his head. How did the Halloween staple known as "Frankenstein" emerge out of the anonymous novel by a "young girl," published in 1818 to mixed reviews? The answer, as this study makes clear, is that the "Frankenstein" we know today is not solely Mary Shelleys progeny. "Frankenstein" morphed into many different forms over time, place, and genre. This volume displays and analyses the many post-Shelley "Frankensteins," exploring their continuities and disjunctions in order to trace the development of this enduring icon. The volume also traces the complex history of Mary Shelleys Frankenstein, including its publishing history, its dismissal by the literary establishment, and its subsequent reclamation as a touchstone text in high school and college classrooms. Students of Shelleys novel or of the many "Frankensteins" her novel propagated will find here an analysis of this intriguing cultural history. This volume also provides extensive extracts, gathering together an unprecedented collection of both never-before published and previously published material, so that readers can read widely and develop their own sense of "Frankensteins" place in our world. Section 1  Mary Shelley and the first "Frankensteins"
17. 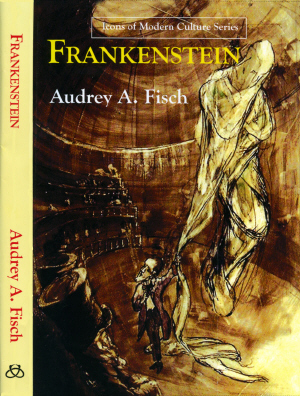 The Scientific Legacy of "Frankenstein"
Audrey A. Fisch is Professor of English and Coordinator of Secondary English Education at New Jersey City University. She is the editor of The Other Mary Shelley: Beyond Frankenstein and The Cambridge Companion to the African American Slave Narrative and the author of American Slaves in Victorian England: Abolitionist Politics in Popular Literature and Culture.